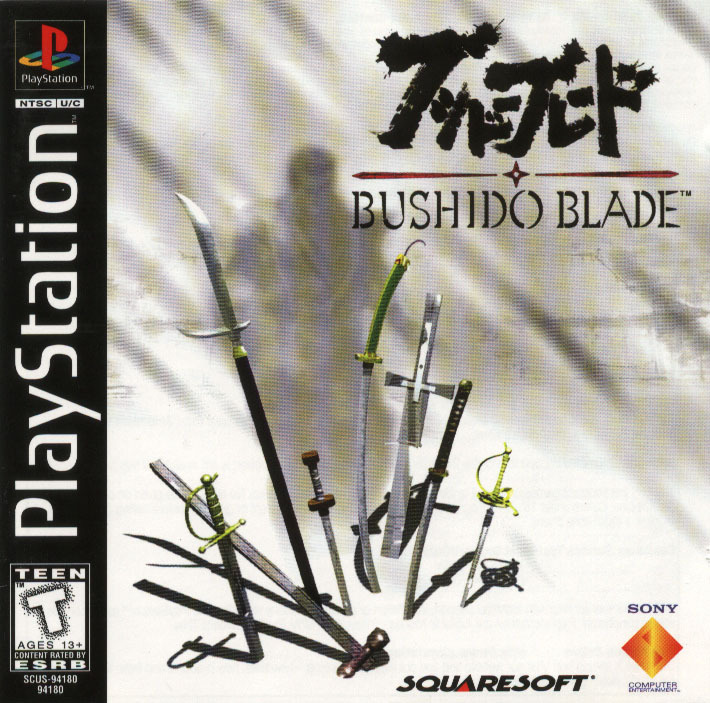 STORY: Bushido Blade takes place on an island near the southern mountains of Japan. A five hundred year old dojo known as Meikyokan lies within this region, and teaches the disciplines of the master Narukagami Shinto. 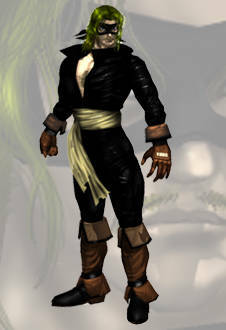 A society of assassins known as Kage also resides within the dojo. 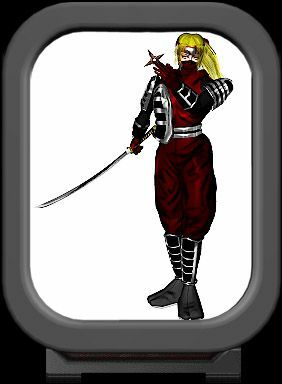 Once led by the honorable swordsman Utsusemi, he lost his position to Hanzaki, another skilled member of the dojo, in a fierce battle. 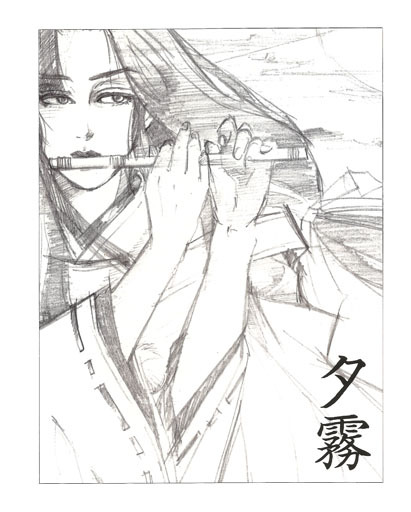 Hanzaki gained respect as the Kage leader, until he discovered a cursed sword known as Yugiri. He began to change, disregarding the groups honor and the traditions held by its students. 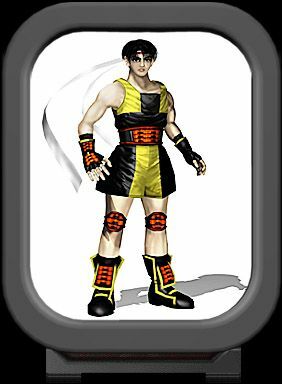 One day, a Kage escapes the confines of the dojo with its secrets. 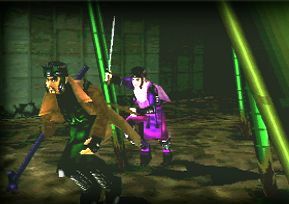 Several other members of the society, under penalty of death, are sent to dispatch the defector, only catching up to him (or her) within the ruins of the surrounding Yin and Yang Labyrinth Castle. 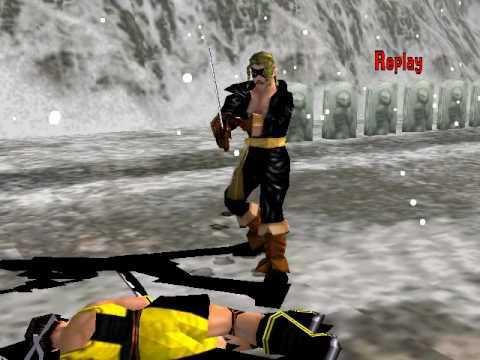 The player takes on the role of the escaped assassin, fighting his or her way out by killing comrades one by one. The game story differs with each character selected. Select your weapon! ... (way to be original, guys). 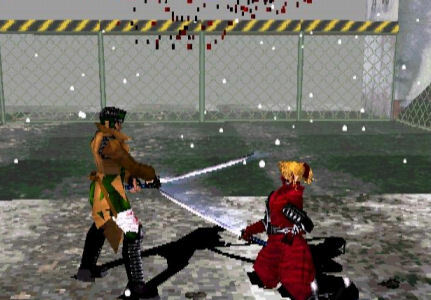 REVIEW: Bushido Blade introduced a fresh concept to the 3D fighting game genre, offering a "realistic" approach to weapon based combat. 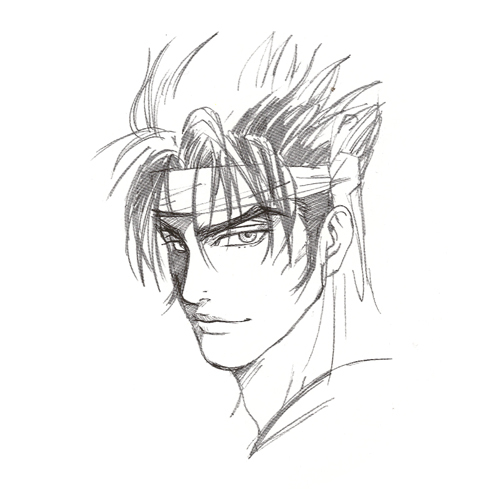 Square decided to completely do away with a staple of nearly all fighting games - Life Bars. 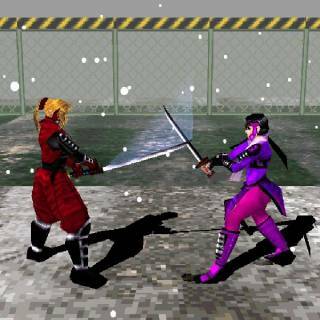 That means, with one good slash of a katana, a fight could be won. 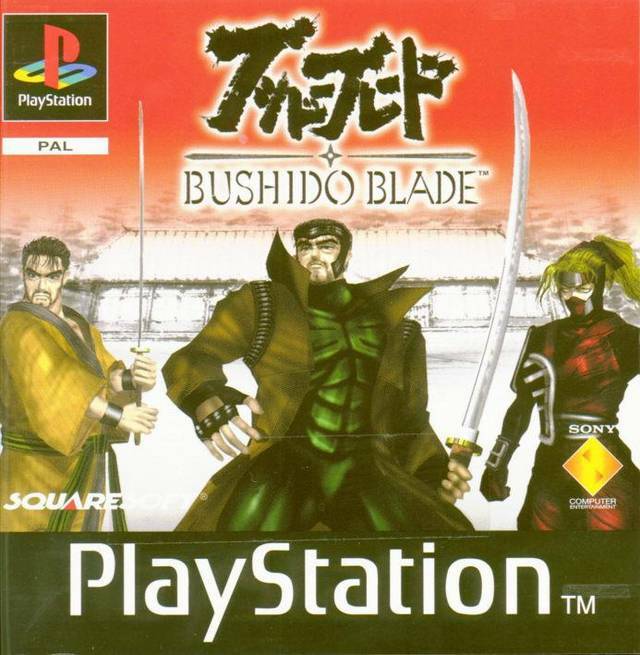 This concept definitely brings along some unorthodox gameplay, but one can't argue that it makes sense when considering we're dealing with samurai and live blades here. There's a lot of flat snow in this game. 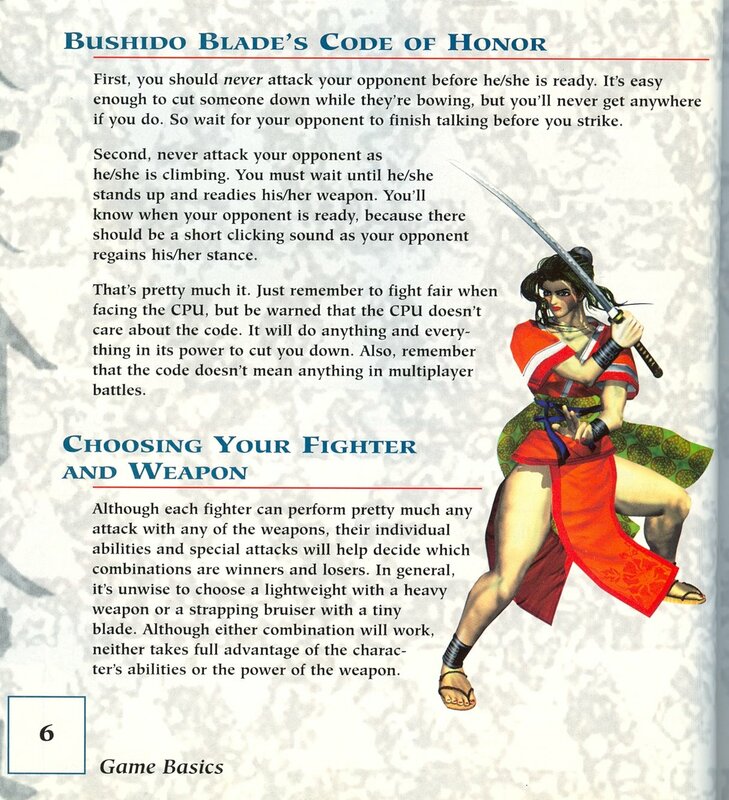 One of Bushido Blade's most distinctive elements is the game's incorporation of the Japanese honor code of Bushido. 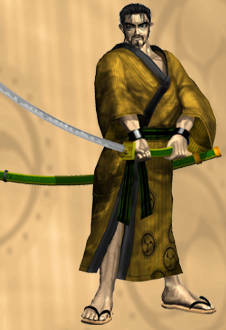 During the story mode, players are encouraged to battle honorably by adhering to certain rules within combat. Actions such as "attacking from behind" will result in an automatic game over (after some battles)... no cheap shots allowed! 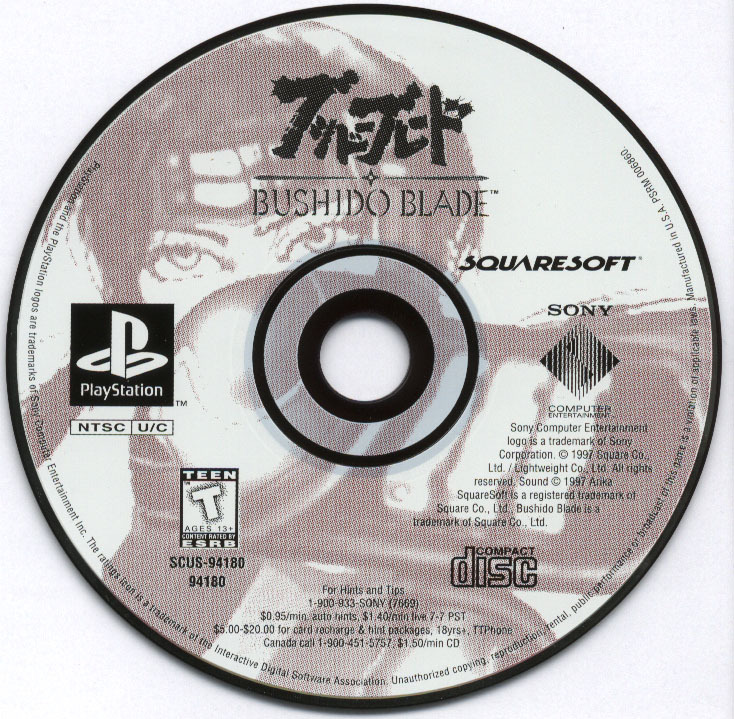 Bushido Blade's gameplay also features free-running (360 degrees) around the 3D environment... yes, environment. 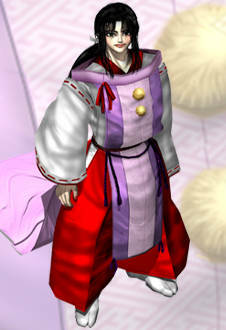 There are actually no "stages" in Bushido Blade. Instead, combatants fight it out in a landscape featuring various paths which open new areas. Basically, if you don't feel like fighting your opponent in your current location, you can always run away and fight somewhere else! (It's pretty fun in 1-player mode). 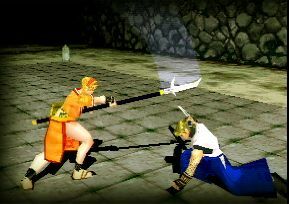 The free-running element is quite entertaining for a while, and even adds quite a bit of strategy to the game as well... those over-the-shoulder / behind-the-back running slashes are damn effective (but are strongly against the code of Bushido). Heh. The environments are also interactive, with trees you can cut down, places to climb onto, etc. 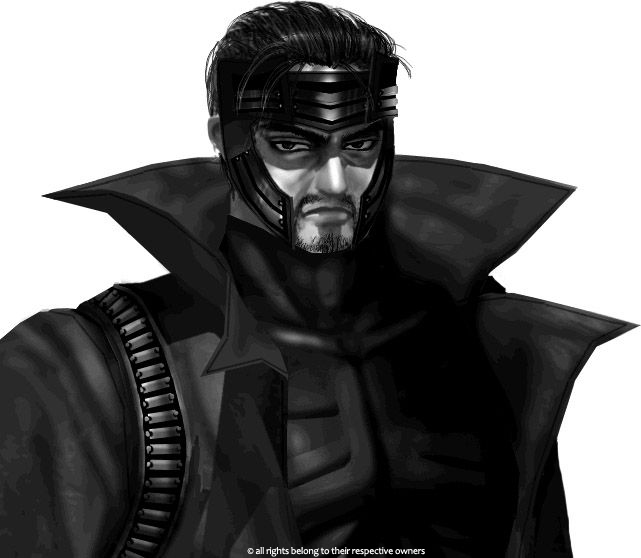 You dare run from me Gambit? ...coward. 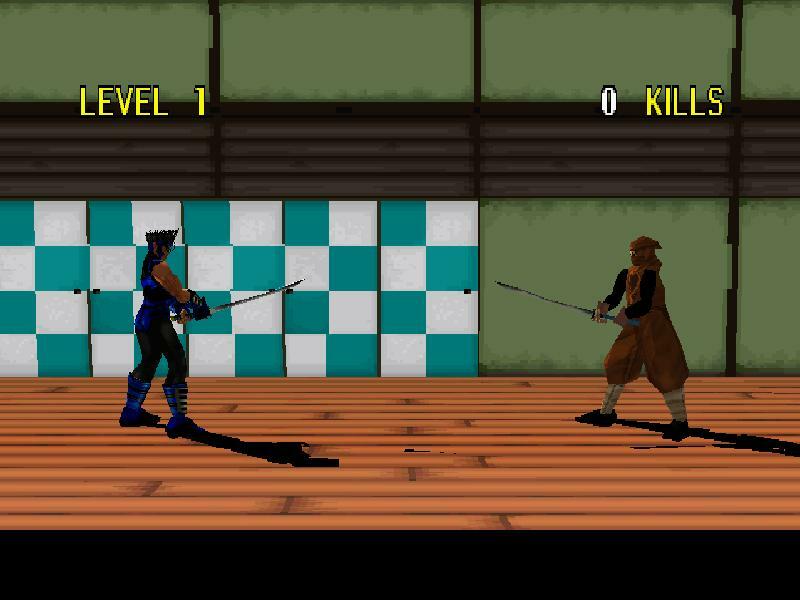 In addition to Bushido Blade's single player Story Mode, the contains a 2-Player Versus Mode, Practice Mode, and a pretty interesting "First-Person VS Mode" which can be played with two players by using 2 TVs. Also included is a cool 1-player bonus mode called "Slash Mode," which pits the player against 100 enemies, one after another. I personally enjoyed this mode just as much, if not more than the main modes of the game. 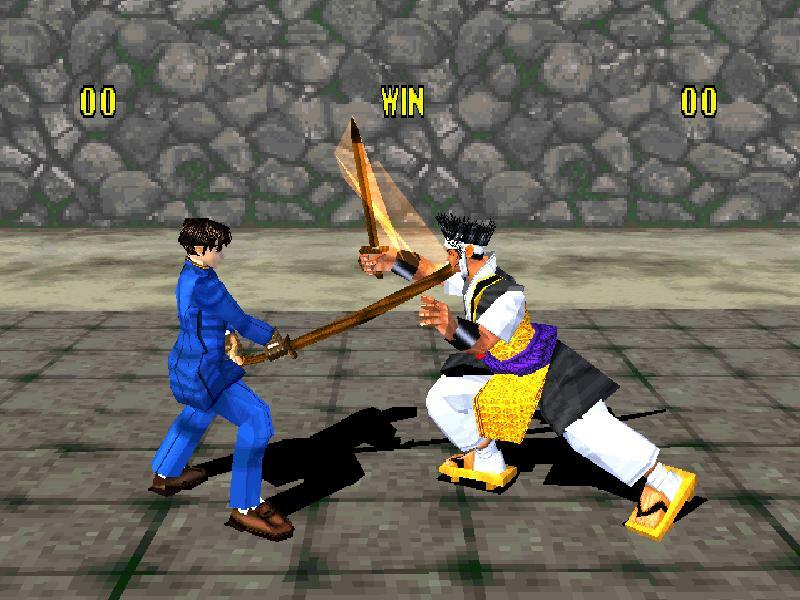 For a 1996 PS1 fighting game, you can't really ask for much more. However, there are some basic flaws I'd like to point out. 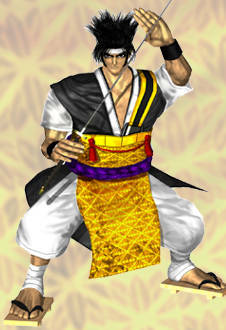 The biggest flaw of Bushido Blade would definitely be the graphics. The environments, though generally "pretty" and immersive for the time, do appear very pixilated. The in-game blood also looks more like pixilated fireworks, or confetti than it does blood. There's a fair share of quirkiness to some of the animation, but other animations are solid and actually present rather authentic Japanese swordsmanship. 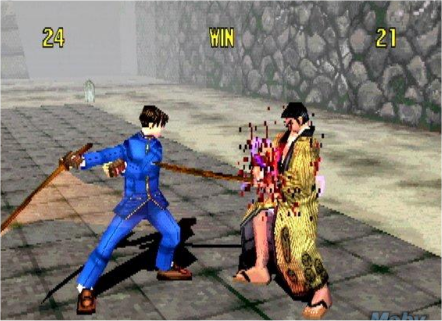 The ouch factor also offers a variety of cool-looking death animations with solid collision detection. Another "flaw" worth mentioning - there are only 6 main characters to choose from, so the roster definitely feels a bit lonely sometimes. 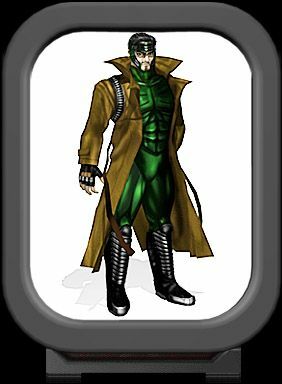 On the bright side, there is one unlockable character available in VS mode, and 5 non-playable hidden characters than can be encountered in the main 1-player mode. 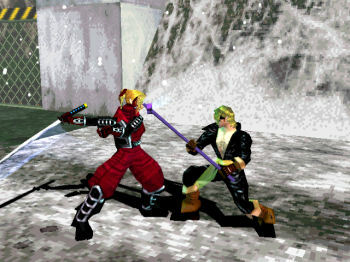 Two of these CPU-only characters present themselves only if a player can complete the game and achieve the alternative ending. 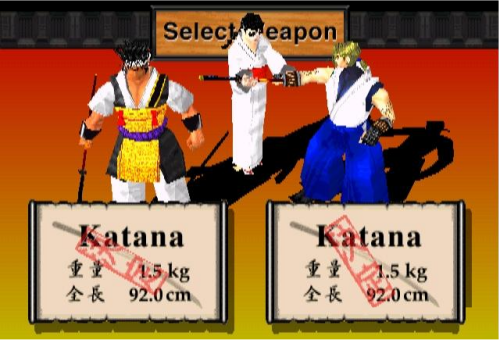 To do this, you must select the appropriate character and also the following: (#1) Do not take any damage, (#2) Reach the well before the fourth battle, and (#3) do not break the Bushido Code. It's a but much to go through, but hey... I give the designers credit for their attention to detail! 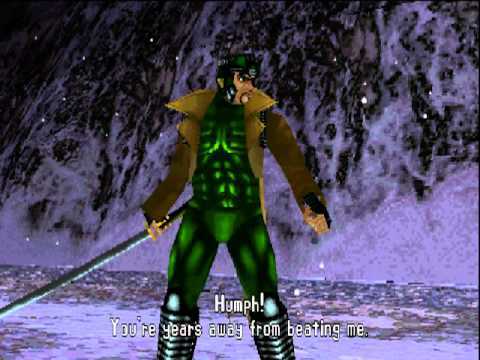 Final Words: Bushido Blade was a cool, classy, and unique weapon-based fighting game at its debut. 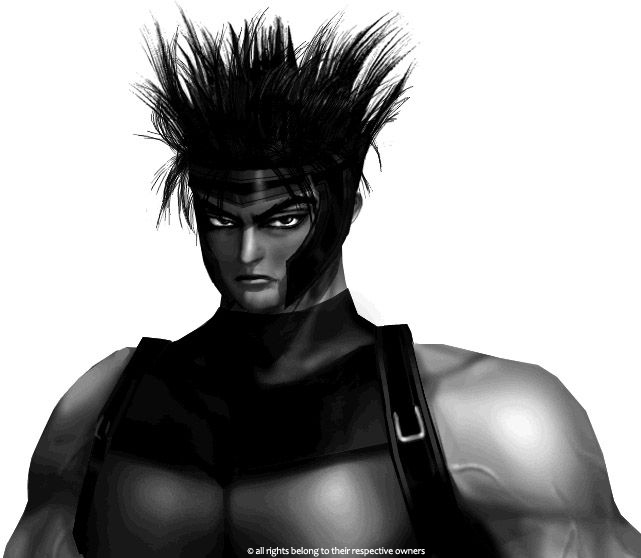 I was happy to have his title in my PS1 library and surprisingly put many hours into it. 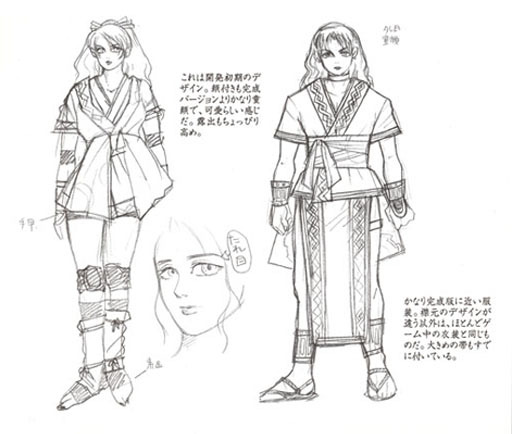 However, considering its competition in the fighting genre, Bushido Blade still left a lot to be desired in certain areas... specifically graphics and character designs. 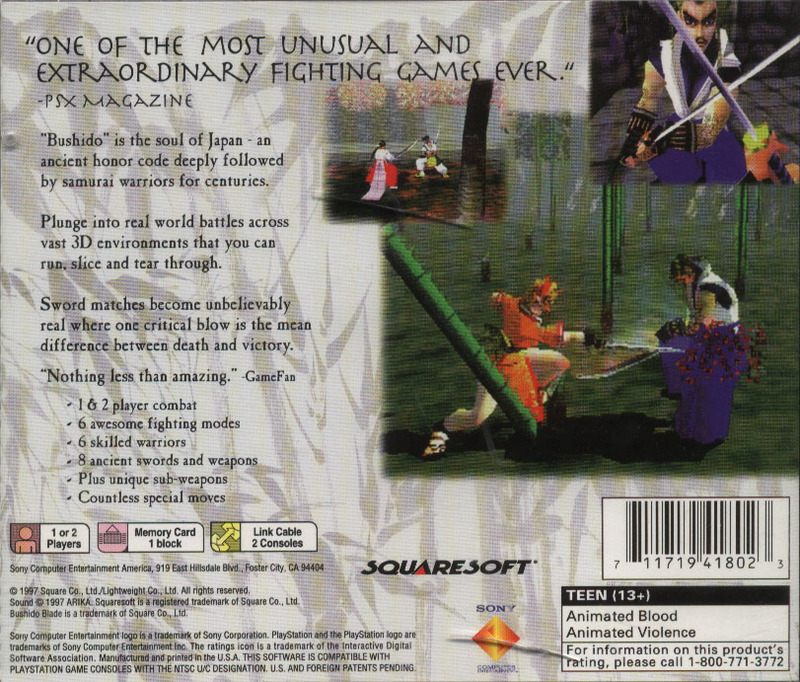 Thankfully, Bushido Blade 2 nicely improved on those aspects. 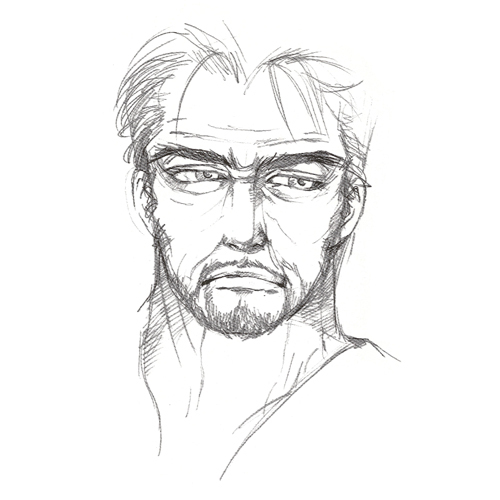 Click Here for all Concept Sketches!